Carlyle of Lawrence located in Lawrence, New York is an incredible venue for a Long Island wedding. Carlyle of Lawrence, Temple of Israel is known for the stained glass windows of it’s gothic sanctuary, dramatic avant-garde cocktail room and magnificent ballroom. This Long Island wedding ceremony was held in the beautiful gothic sanctuary. There are many highlights to be noted during a wedding ceremony, one being the moment a bride is being given away by her parents. 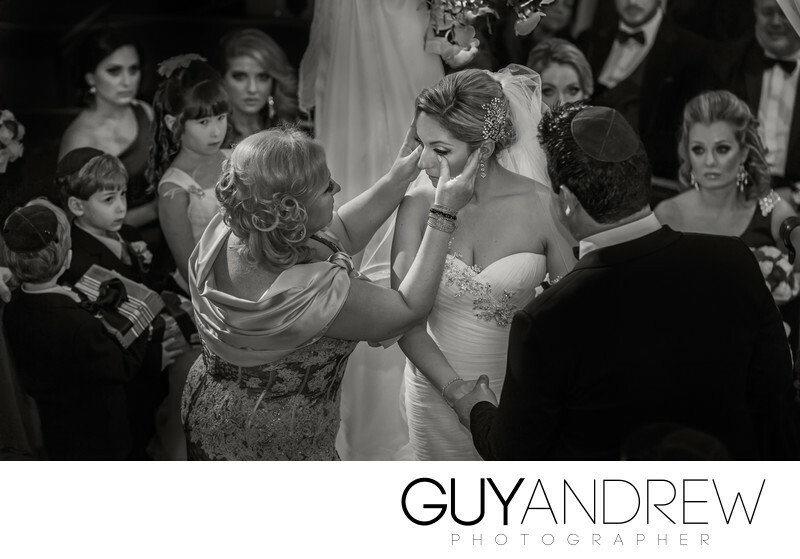 During this wedding ceremony, a special moment was shared between the bride and the bride’s mother. Although this photograph didn't win a pulitzer prize, I entered this photo into the Wedding Photojournalism category of the Annual 16x20 Wedding & Portrait Photographers International Print Competition and was honored this image received a WPPI silver distinction award! Location: 140 Central Ave, Lawrence, NY 11559. 1/160; f/4.0; ISO 1600; 135.0 mm.